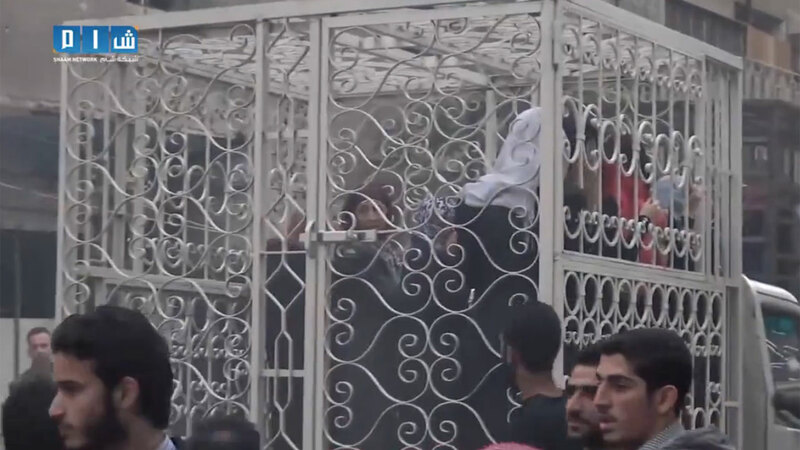 Distressing video shows civilian families locked in metal cages and used as ‘human shields’ as Syrian rebels transport them through the war-ravaged streets. Speaking to camera, both men and women asked government forces to stop shelling Eastern Ghouta. “Your women are our women. If you want to kill my mother, you will kill them too,” a dark-eyed teenage boy said outside one of the trucks. Abdel Rahman said most of the civilians were kidnapped by Jaish al-Islam two years ago outside Adra al-Ummaliyah, a regime-held neighbourhood in Eastern Ghouta. 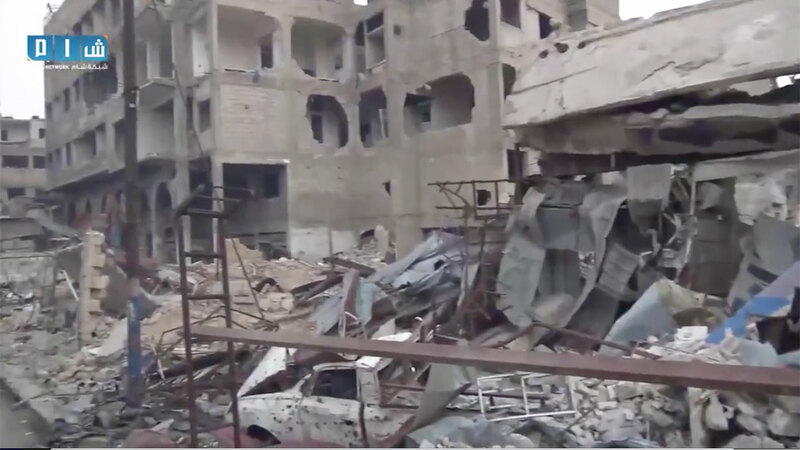 Jaish al-Islam, regarded as the most powerful rebel group near the capital, has put regime soldiers and Alawite civilians it was holding in metal cages, the Syrian Observatory for Human Rights told AFP. 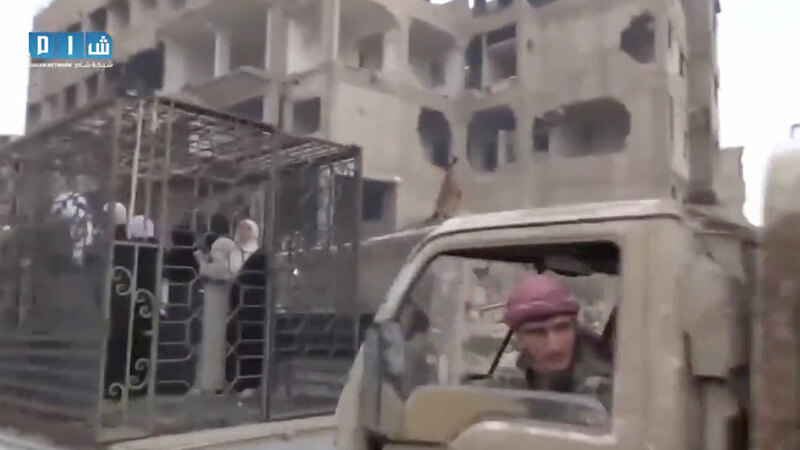 The group then placed these cages in public squares in the Eastern Ghouta region in an attempt to “prevent regime bombardment”, Observatory head Rami Abdel Rahman said. 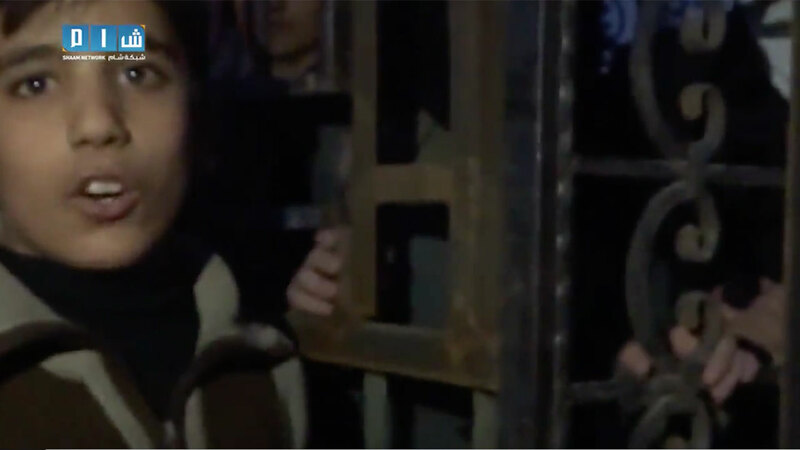 “Jaish al-Islam is using these captives and kidnapped people — including whole families — as human shields,” he said. Government forces regularly bombard the Eastern Ghouta area, from where rebel groups fire rockets into the capital. On Friday, at least 70 people were killed and 550 wounded in regime bombardment of Douma, a large town in the area. Both regime forces and rebel groups have been criticised by rights groups for indiscriminate attacks on civilians in Syria’s war, which has killed more than 250,000 people since it began in March 2011.